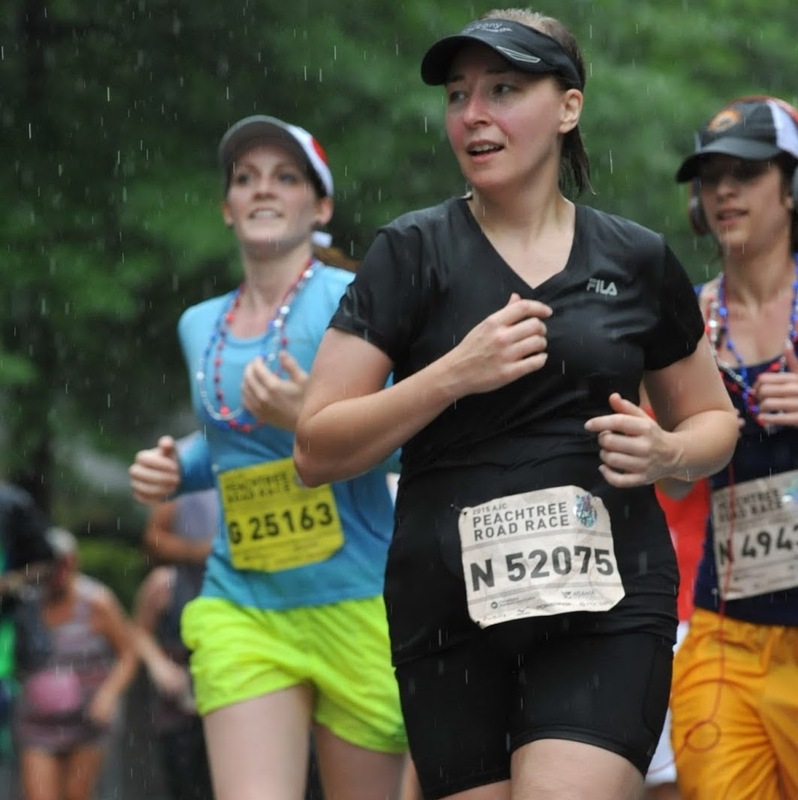 I have run thirty-six 5K races, and I don't regret a single one. There are some that have frustrated me and some that have inspired me. Then there are some that have become yearly traditions. These are the races my heart says to me I must return to year after year. The race I ran this past Saturday is easily going to be in the repeat category. The Glow it up Blue for Autism in Atlanta 5K, sponsored by The Locomotive Race Series, was a great race! Check-in was easy, the race course was mostly flat (huge win! ), and they had plenty of good eats available after the race. And to top it all off, every finisher got a medal! I love 5Ks with bling at the end! 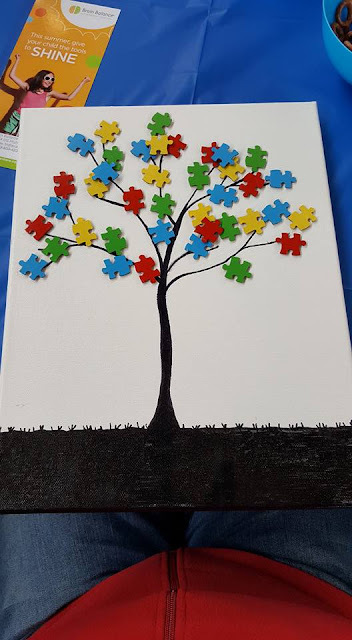 But what really makes this race one that is going to be a yearly tradition is the cause that it seeks to support: Autism Awareness. The diagnosis of autism is something that every mother and father fear and that too many end up having to accept as a reality. 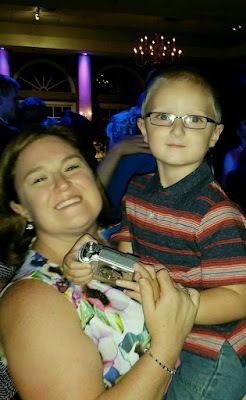 My sister's son was diagnosed with autism a few years ago. After the diagnosis, life changed dramatically. She and her husband work constantly to get their boy the services he needs to ensure he has a successful future. It's hard work. Fighting autism is hard work. But they soldier on, and because of their dedication, my nephew, Lucas, has had many victories and still many more to come - I'm sure. My sister Lisa with her son Lucas. "Autism Awareness to me means that people come to understand the autism spectrum. Not every person with autism is the same. They're all very, very different. People just need to be more educated about the disorder and also educate their children which is a big concern of mine for Lucas. 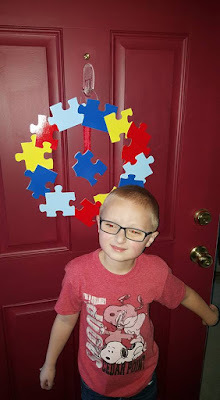 If children have proper education about autism then they are less likely to poke fun at kids who are on the spectrum because they will understand the quirks of someone with autism. It's all about educating people." And that is why I wanted to run this race. I ran it for my sister and my brother-in-law. I ran it for Lucas. I ran it for all my friends whose children have autism. 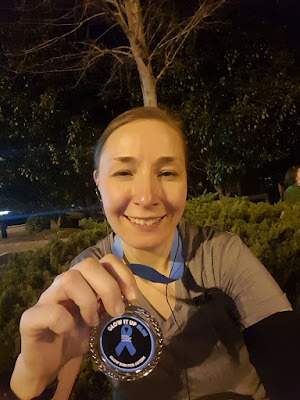 I ran it for Autism Awareness. That's probably why I made my best 5K race time in a long time of 35 minutes (an 11 min mile). My little nephew, and other little boys and girls I know like him, are why this race will become a yearly tradition. 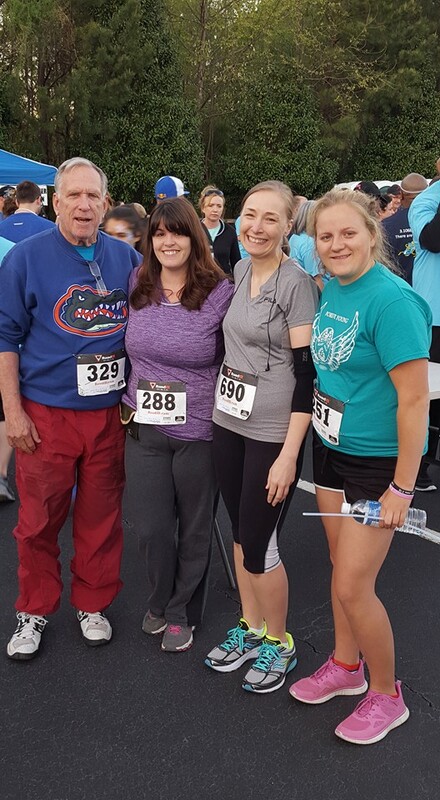 It was a great race for a great cause! I had some awesome company that night! Thanks guys! Please take the time to visit the Autism Speaks website to educate yourself about autism. Thank you!